We started seeing Adam a few years ago when my daughter started having seizures and her lungs were getting worse as a result. 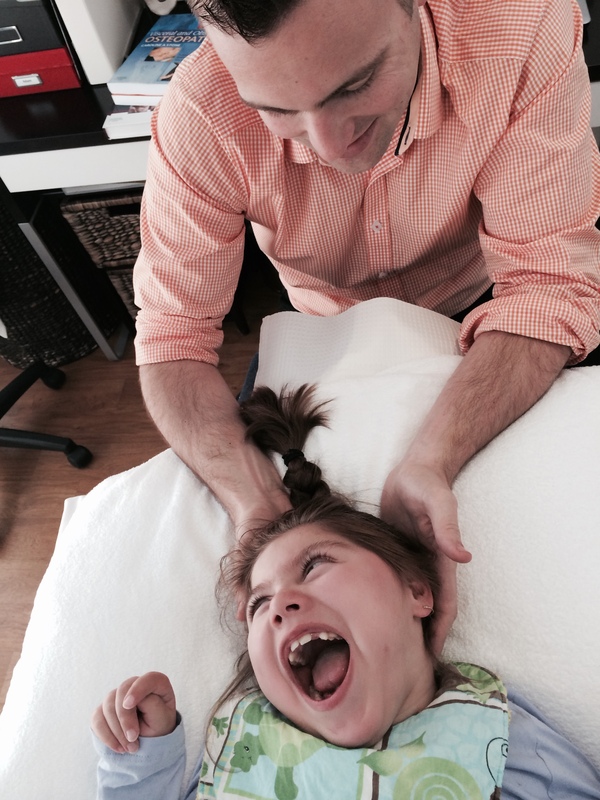 At first I wasn’t sure his treatments were making a huge difference as my daughter can’t communicate. Then one day she started crying which lasted for 3 days and none of my doctors could figure out what was wrong, 10 minutes with Adam and she was laughing and back to her normal self! Since then we see him every 2-3 weeks as his treatment has been fantastic for her chest. We have really noticed a difference with her breathing especially when she’s sick and her recovery is always quicker after a session from Adam our Osteopath. I am now a huge advocate of his work and would recommend him and his treatment to anyone with special needs children, he really is in tune with the human body and knows what is out of balance and how to fix it. I am now also a client! Especially with all the lifting I do of my daughter. Osteopathy has the ability to identify and treat dysfunctions in the body which cause pain, discomfort, illness and/or disease. With a 5 year University training, Osteopaths have the ability to train areas of strain, stiffness or restriction which may be impeding normal movement. By treating these restrictions, Osteopaths are capable of helping improve muscles, joints, ligaments, lymphatics, central nervous system and organ based issues. 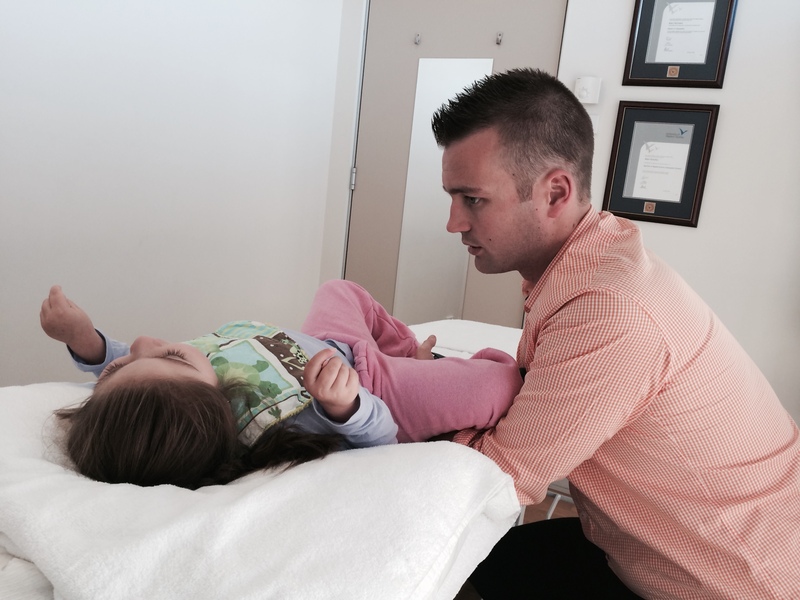 When treating kids, like Amara, Osteopaths use very gentle and subtle based ‘hands-on’ techniques to make changes. Osteopathic treatment is a safe and effective form of manual therapy that can help treat a wide variety of issues. The treatment is non-painful and can take about 30 minutes. In Amara’s case we treat a variety of dysfunctions, which can change from treatment to treatment. A full assessment is performed on each occasion which will determine areas of stress and dysfunction. Factors such as illness, fatigue, increased muscle tone and other physical factors will determine the areas that are treated during each session. Generally, Amara has rigidity and stiffness around her rib cage which affects her ability to breathe and cope with disease and infection. She can sometimes present with ‘rotation’ and ‘twisting’ around her pelvis which restricts normal hip and leg function. Her lower back can be restricted which can quite potentially cause discomfort and impede normal organ and gut function. If you would like to discuss further, please feel free to email me at adam@intouchosteo.com.au. There is also a section where schools have entered films which is fantastic. I love that this message is being spread this way and that schools are getting involved, I love that the students are involved.